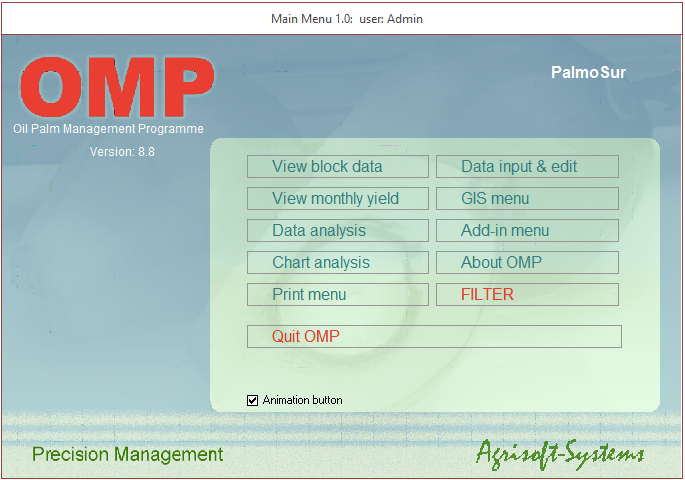 An agronomic information management system (AIMS) for oil palm plantations. OMP now includes a fully functional Geographic Information Systems called OMP-GIS that can be used to display maps showing e.g., yield, yield gaps, harvester productivity, fertilizer use. Download an introduction on the use of OMP here. We find OMP an indispensable tool for yield improvement. All agronomic data is available 'under one roof' and it's easy to bring all the necessary data to the field in printed booklets or installed in a tablet or smart phone. Field visits then become focussed on tying what we see to data. All agronomic data stored in one software – elimination of multiple spreadsheets. Raw data transformed into useful information for use in the field. Tools for monitoring crop production and fertilizer application.